Here is a video where I quickly explain how to adjust your line in wet weather so that the kart can find grip. This is super important and can be worth seconds a lap! 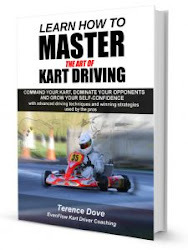 For more detail on wet driving special techniques that can find you loads of time check out my book here.